The week or so before school starts, our school sends a letter home welcoming students back to school, giving room assignments, final supply lists, and a letter from the teacher. Sadly, many of our parents do not use this information to prepare their kids for the first day. So, I take this opportunity to include a little something extra - the first day of school name and info tag. The parents fill out a bit of information on the back and pin it to their child's shirt on the first day of school. Most of our children arrive on a bus or are dropped off at the front door and have no idea who their teacher is, how they're getting home, or whether they have lunch money. Since I have been sending these name and info tags home, 99% of my students have come to school with them on! (Probably because I include the pins!) When they enter my room, I know how they came to to school, how they're getting home, whether they have lunch money, emergency numbers, etc. It is so nice to have a little info until I can get accurate paperwork returned! If you would like an editable copy, click HERE. I just print them front to back on cardstock, cut them into four cards, punch a hole, and add a safety pin. If you download a copy, remember that it is editable and the fonts reverted to a common font on Google docs. 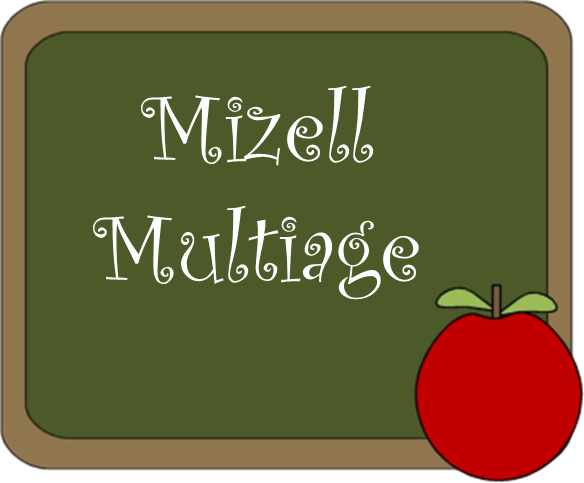 Once you download it, give it whatever font you want and add in the info for your school and classroom. I have been so blessed to be able to share with so many of you out there in cyberspace and amazingly 1,000 folks have liked my Facebook page:) Who woulda thought? 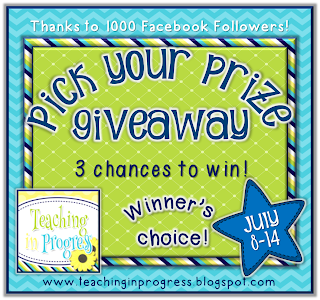 So, I decided to host a little giveaway to help you choose a few new things for the new school year. 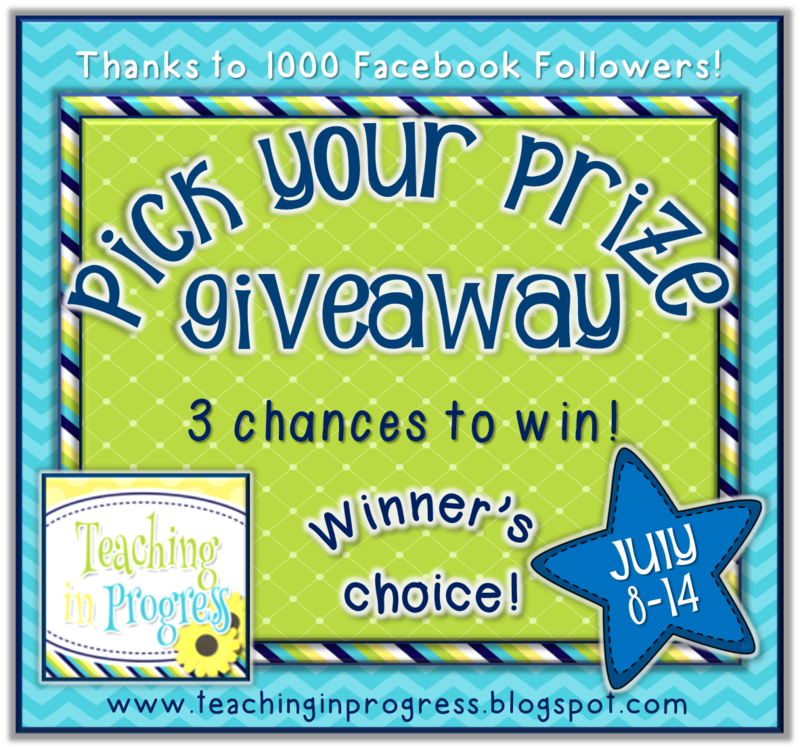 You have 3 chances to win and here are the amazing folks who have donated an item from their TPT store! Wow! What a giveaway! Congratulations! I am very fortunate to have some amazing folks donate for the giveaway! I have to say how kind I think it is that you think of your students needs in this way. I love that you send home the tag and the pin. Your students and their parents are VERY fortunate to have such a caring teacher. I hope your giveaway goes really well! So excited for this opportunity! Such a great collaboration of teachers!!! This is fantastic! It sure does make everyone a little less stressed on the first day! Congratulations on reaching 1000 followers! Thank you so much for including me in your giveaway. It is my pleasure to offer a product. I am following you and visiting from Owl Things First! What an awesome giveaway!!! :) Thank you!!! Love the idea of the cards. Thank you. I found you at Owl Things First. What a great give away! I also found you through Owl Things First! Owl Things First sent me. I am already a follower. Where in Virginia are you? I started following you during my student teaching and love your ideas and activities. I'm in Richmond. Are you nearby? FYI - A group of VA bloggers will do a freebie blog hop the first week of August so be sure to check back - some of the items may be specific to VA sols.